How can Paulo Freire s progressive and vital contributions to curriculum planning can be made more relevant today for educators, policy makers and anybody involved in education? This book provides a necessary framework as it articulates significant questions. The first deals with Freire s positions on curriculum planning, the second is devoted to the historical development and the character of his perspective on curriculum planning, and the third refers to the ways his perspective compares to others, as well as to its contemporary value. Freire s perspective comes into direct conflict with traditional views on curriculum planning, the content of which represents what is perceived as the highest expression of Western civilization. Freire also breaks with the dominant perspective of social efficiency on curriculum planning whose main aim is to supply, via behavioral objectives, the knowledge and skills deemed necessary for the efficient function of the economy and the society, treats learners as passive receivers of knowledge, and assigns to curriculum a technical character disarticulated from social, political or ideological conflicts. In addition, he does not focus on studying the learner in an abstract or a-historical framework, nor does he adopt an individualistic interpretation which fetishizes spontaneity. 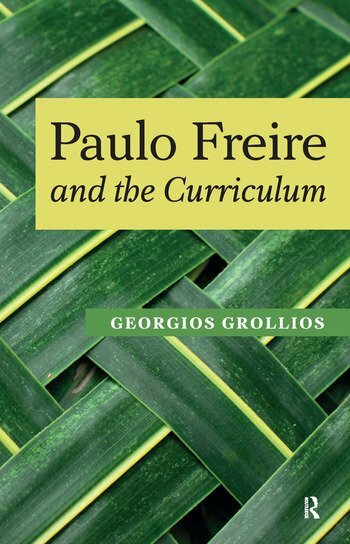 In contrast to traditional perspectives on the curriculum, Freire provides a fertile ground for teachers and any others who seek to transform schools and improve student s learning and lives."